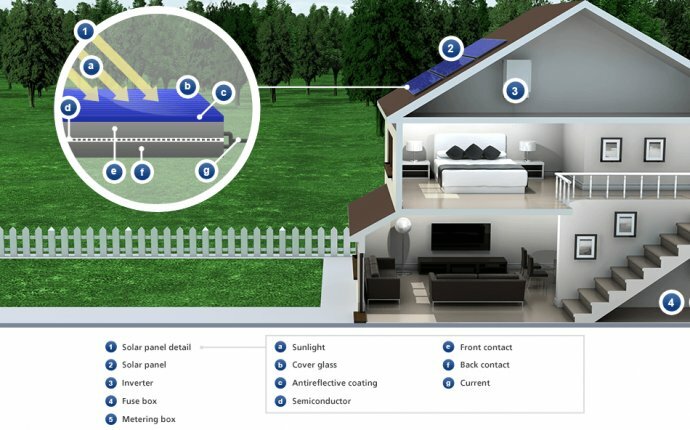 How to Generate solar Power at Home? Most grid-tied photovoltaic (PV) solar systems today have no way of storing the electricity generated by their rooftop solar energy systems to use later. That means when your solar panels produce electricity, it goes first to powering the lights, appliances and electronics in your home. If your solar power system produces less electricity than you need or if you need energy when the sun isn’t shining at all, that power is automatically supplied from the utility grid. If your solar power system produces more electricity than you need, the extra electricity gets delivered back to the utility grid. If you live in a state with what’s called net metering, then you get credited for the electricity you deliver back to the grid at the same retail price that you pay for the electricity you take from the grid. In states without net metering, the law generally provides that you are paid for the excess electricity at the so-called “avoided cost” of electricity, meaning the rate that the utility would have had to pay to produce or purchase that electricity from another source (generally the wholesale cost of power). A few states are experimenting with a different approach, in which you buy all the electricity you need for your home from the utility at the retail price, and sell all the electricity generated by your solar power system to the utility at another price – typically a lower, wholesale price, though some states boost the amount to reflect the higher value of solar-generated electricity to the grid and to the public. So the most common answer to the first question – what happens when solar panels generate more electricity than the homeowner can use during the day – is that, in an area that has net metering, the excess electricity flows back to the grid to serve nearby neighbors while your meter essentially runs backwards. Net metering makes residential solar energy system ownership even more attractive and affordable for many families. It can save homeowners hundreds more dollars per year on their utility bills, and it makes the process of accounting for the energy flowing to and from the utility simpler and easier to administer. Forty-four states have adopted net metering policies and several others have adopted voluntary utility programs to encourage the practice (with varying levels of cooperation and success). However, some investor-owned traditional utilities are resistant to net metering. They see it as contributing to a loss of revenue from having customers produce their own electricity. The benefits come mostly from generating electricity near the point of use, which in turn reduces strain on the grid’s distribution infrastructure and minimizes energy loss from sending voltage over long distances. While some electricity providers claim that net metering only benefits a few solar users at the expense of the majority of ratepayers, several states – including Missouri, Vermont, New York, Texas and Nevada – have conducted cost-benefit studies demonstrating a net benefit for all customers, not just those with solar power systems. - How to Create solar Power?